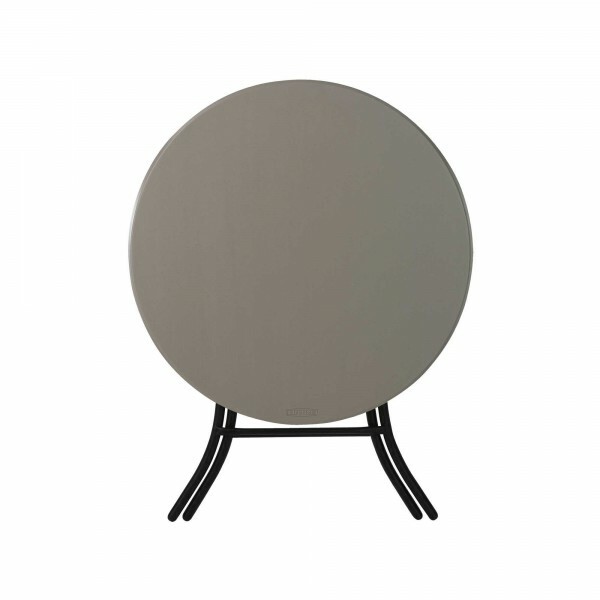 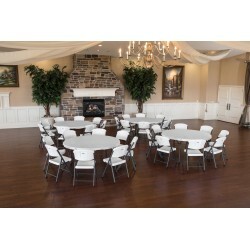 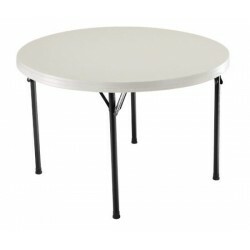 You'll appreciate the convenient single-motion folding frame of this 33" small round table from Lifetime Products. 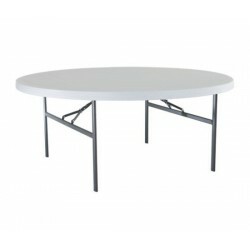 The Lifetime 33 in. 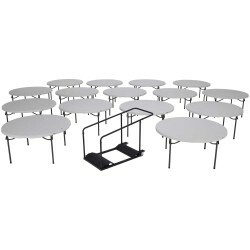 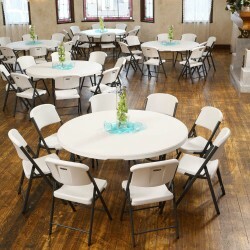 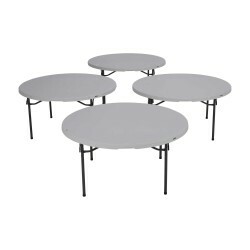 small round folding table is designed with a unique x-frame that makes it the easiest portable table to use on the market. 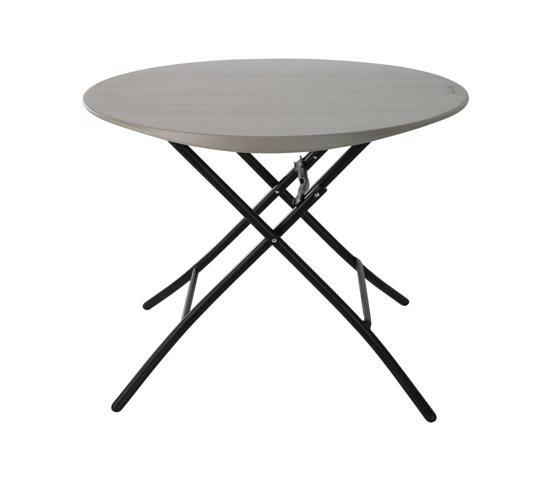 The legs fold up or down in one, smooth, simple motion.To give this table an elegant appearance, the legs flare slightly at the feet and the table edges are softly beveled. 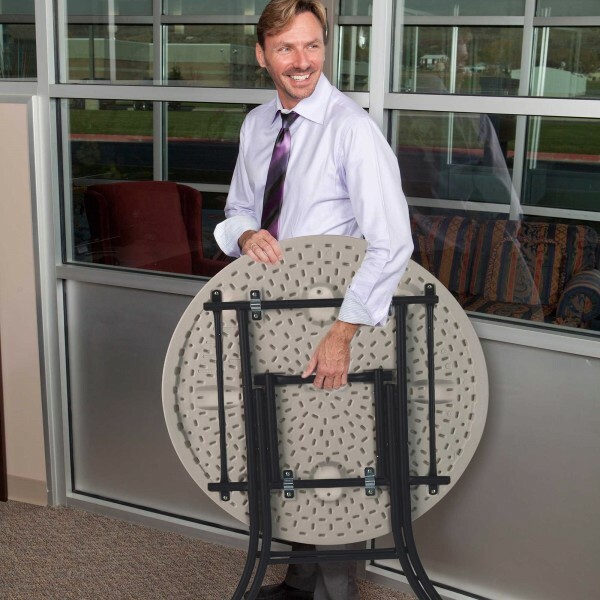 Designed to be attractive enough for formal settings, yet durable enough for institutional settings such as schools and churches. 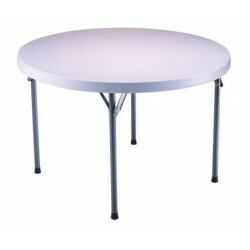 Table surface allows for smooth handwriting. 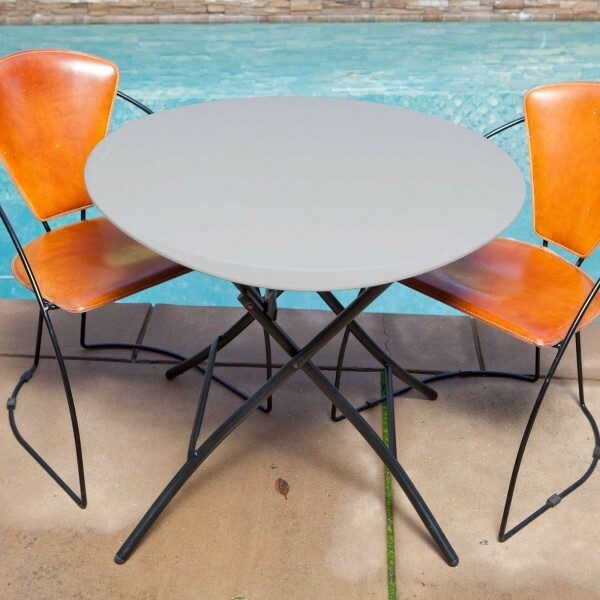 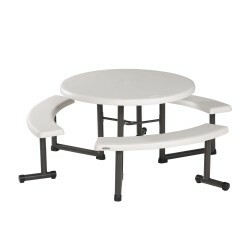 UV-protected polyethylene plastic tabletop and powder-coated steel frame provide weather protection against fading, warping, or rusting, so this table can be used outdoors as well as indoors. 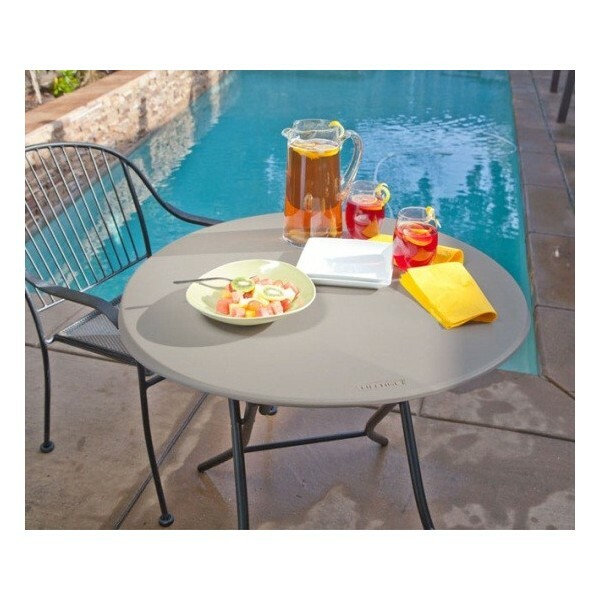 Low maintenance and easy to clean with a stain resistant, water resistant tabletop. 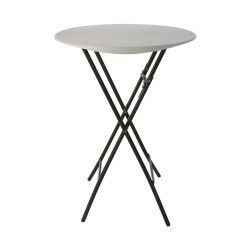 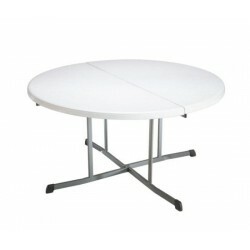 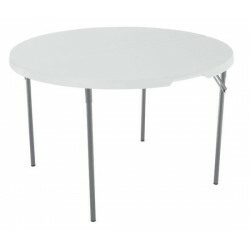 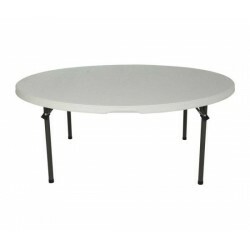 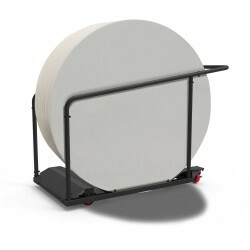 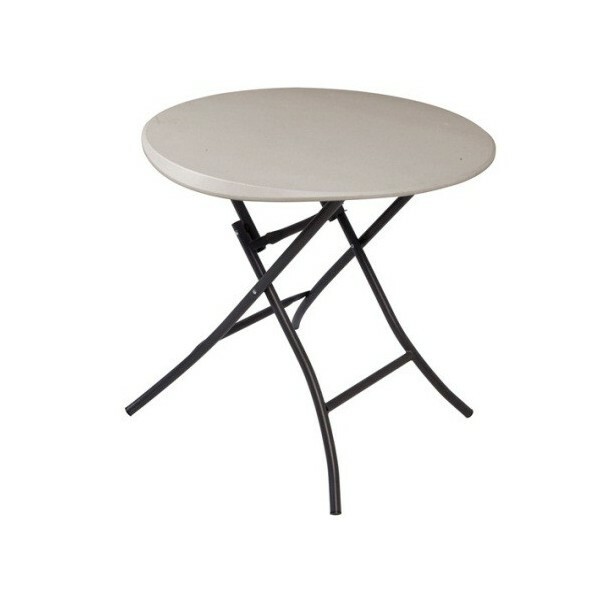 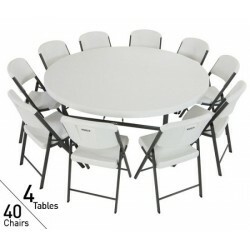 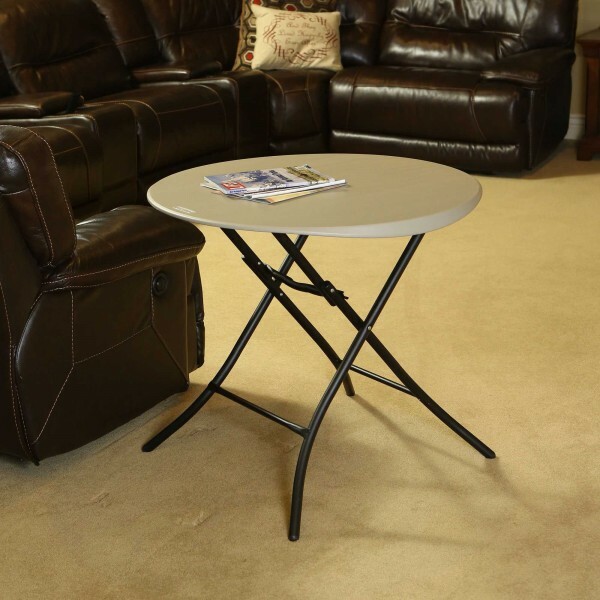 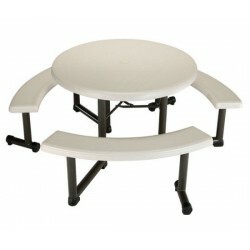 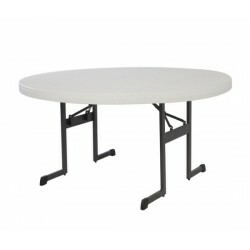 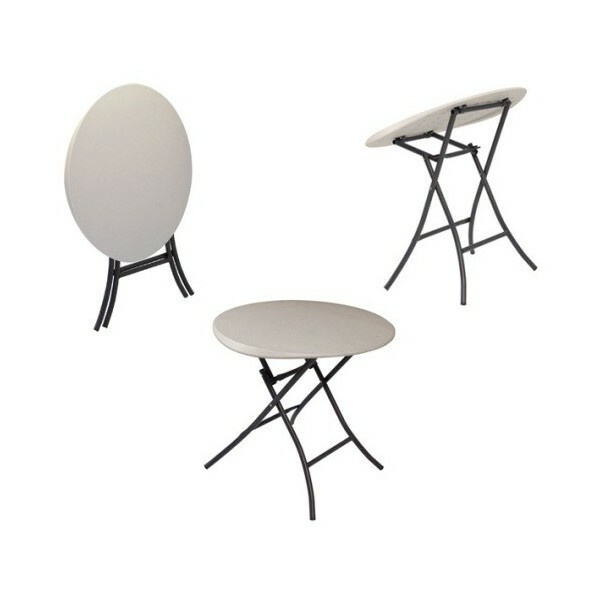 This small round folding table is lightweight for easy transportation and storage. 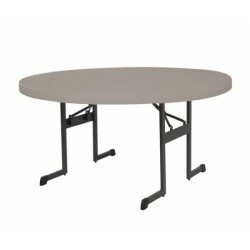 Larger than our Personal Tables, but smaller than our Banquet Tables, this 33 inch table is the ideal size for a variety of purposes: crafts, demos, party refreshments, or patio dining, just to name a few.